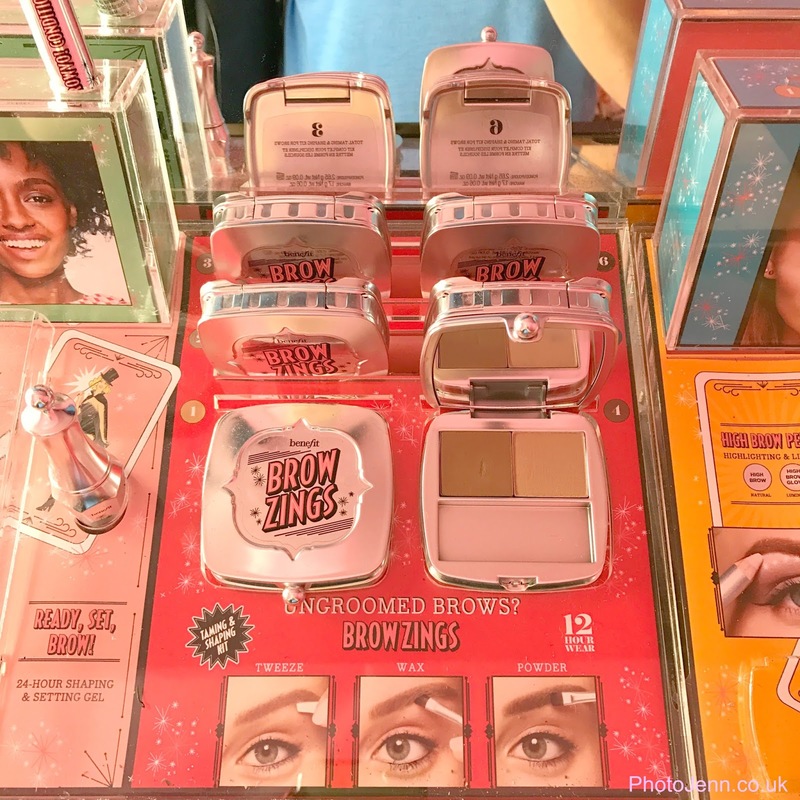 Benefit Brow Mobile -Transforming the Nation's Brows! A couple of weeks ago I was invited down to Brighton for an event with Benefit. The weather has been hotting up so an evening in Brighton was definitely something I was up for! Living in Surrey I'm perfectly in between the hustle and bustle of London (which I adore and miss dearly!) and the calm yet quirky vibes from the coast. So I drove down to Brighton to learn a little more about Benefit's brow products and take a look at the amazing Brow Mobile and make #FriendswithBenefit! The event was held at One Girl Band Space, on Vine Street which is run by the lovely Lola Hoad who gave us a really inspirational talk on making it as a young business owner and being a total girl boss. She was so relatable and really interesting to listen to. She told us about her journey and her advice on being consistent, posting regularly, getting your name out there and making the most of your time. If you love something enough and put enough effort in you will get there. Her advice on being yourself and building confidence really resonated with me. Not everyone will understand what you do or necessarily be your number one fan but that's ok, it's best to focus on the things that make you happy and carry on. We all hit obstacles but we shouldn't let them hold us back. She spoke about how we should share the love and help others who are in the same boat which I really agree with, I think it's great when bloggers repost other's links or give them a little shout out. It's so important to realise it's not all about numbers. I hate when the first thing someone asks me is 'how many followers do you have?' it's so much more than that these days and it's important to get your head down and do what you love and success will follow. Lola sells incredible prints which I will definitely be buying for our new place. I felt like I really learnt a lot from her so it would be nice to have something from her in my home. I'm definitely going to book one of her brush lettering workshops too, I'd love to be able to make my own prints and if I can create anything nearly as good as what she can I'll be really happy. 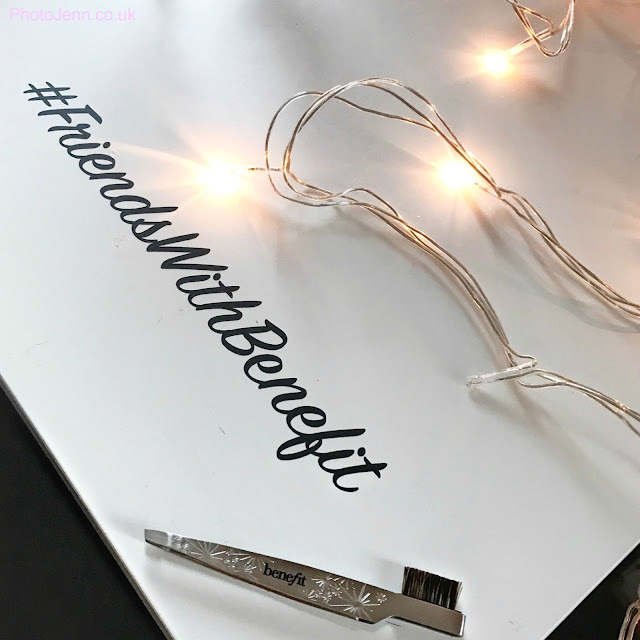 I was given the chance to personalise a pair of Benefit's fantastic Grooming Tweezers. They are such good quality and I love the fact they have a brush on the end, it makes things so much easier having what I need in one place and the grip on them is brilliant -definitely much better than the tweezers I was using previously. 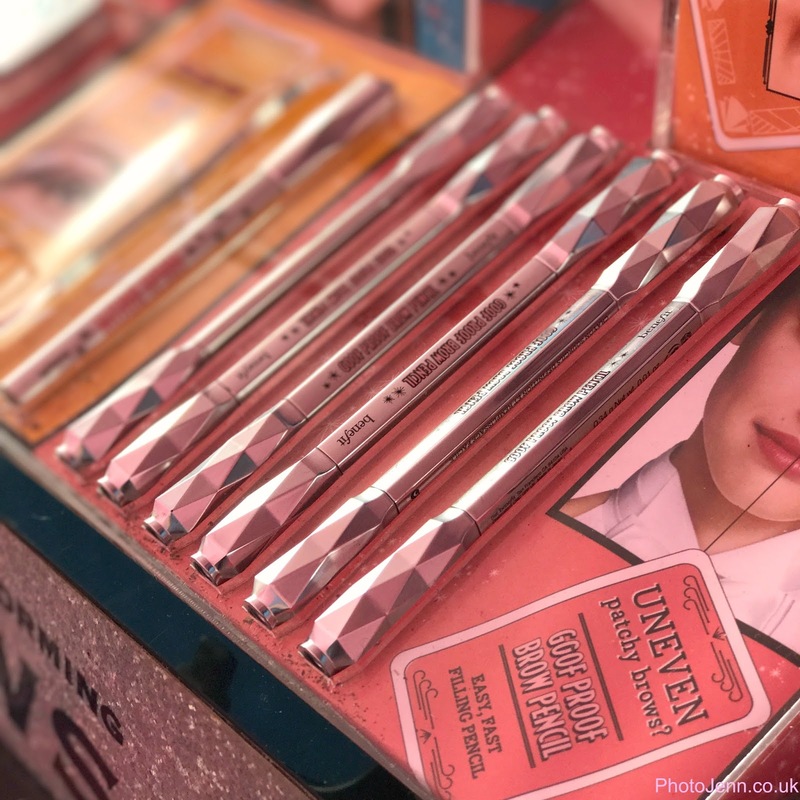 Benefit's Trend Team were on hand to tame our brows and it was a chance to try out some of their products and take a look at their latest releases. 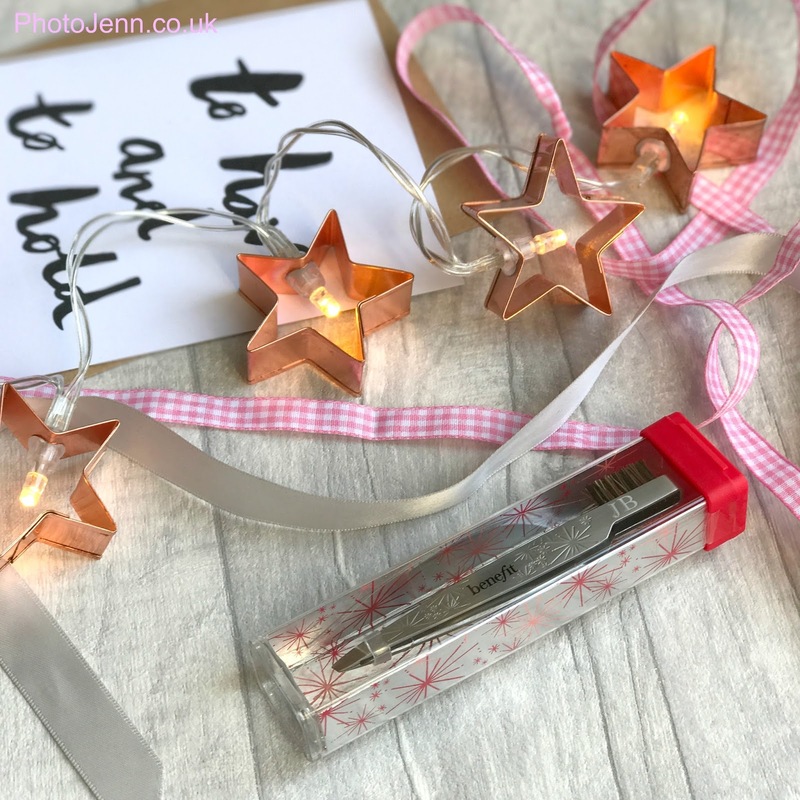 I'm already a big fan of the Goof Proof Brow pencil and now I've got a couple of extra bits on my wish list including Ka-Brow, a brow gel which has a built-in brush that can be used to build up colour to sculpt and define your brows. It's also waterproof so is going to be great this Summer. 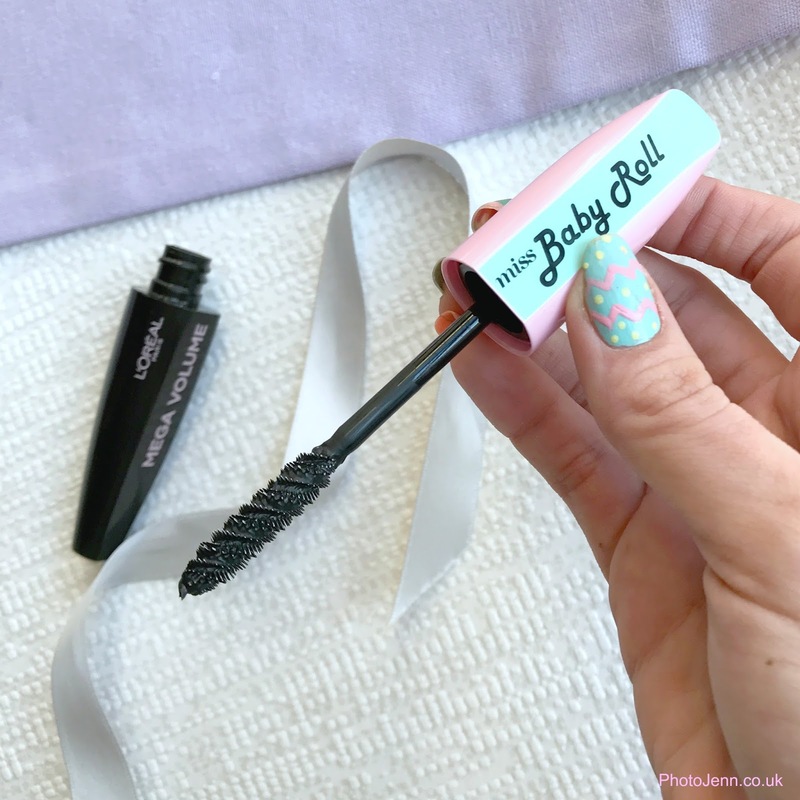 There are some lovely brow kits too which is a great way to test out a couple of products at once. We also had a Q&A with Youtuber Tashie Tinks (who I admit I hadn't heard of before but that's probably because I'm old!). The first thing I noticed was how great her hair was and how she looked effortlessly stylish. She had some really good social media advice and I'm now aware of her Instagram which has some incredible photography inspiration. 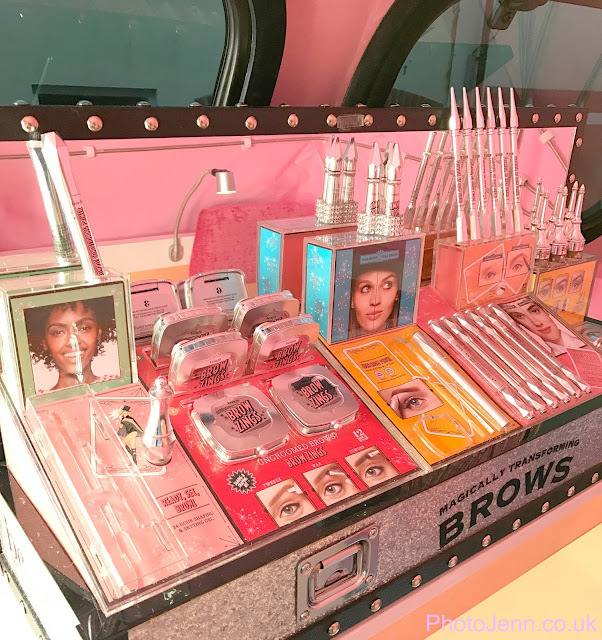 During the evening the Brow Mobile pulled up and I got to take a little look inside. The Brow Mobile is a 4x4 in Benefit's signature pink which is kitted out with all the brow products needed to transform your brows. It's doing a tour of the UK at the moment and is manned by brow experts ready to wax, map, tint, shape and style brows. Brows are big news at the moment and Benefit are dedicated in bringing the brand to us to really help us out and educate us too. 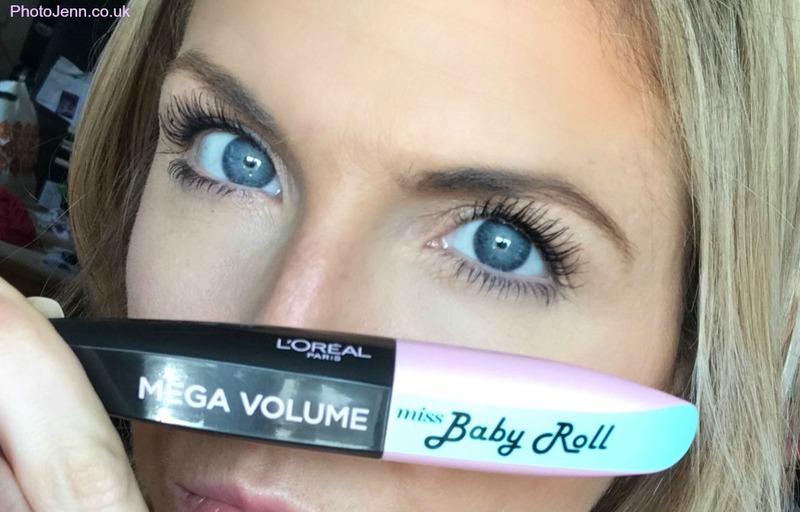 No Sharpie brows around here, that's for sure! It's amazing how much space there is inside. 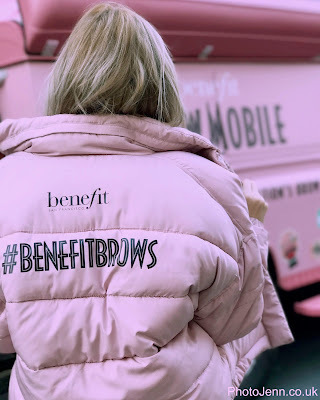 I got involved and tried on the '#BenefitBrows' Jacket which was incredibly cosy, I assure you! I had to head back earlier than I would have liked (mum duties!) but I was kindly given a goodie bag with some fab products inside. A greetings card from Lola with a perfectly fitting wedding theme! A much loved They’re Real! 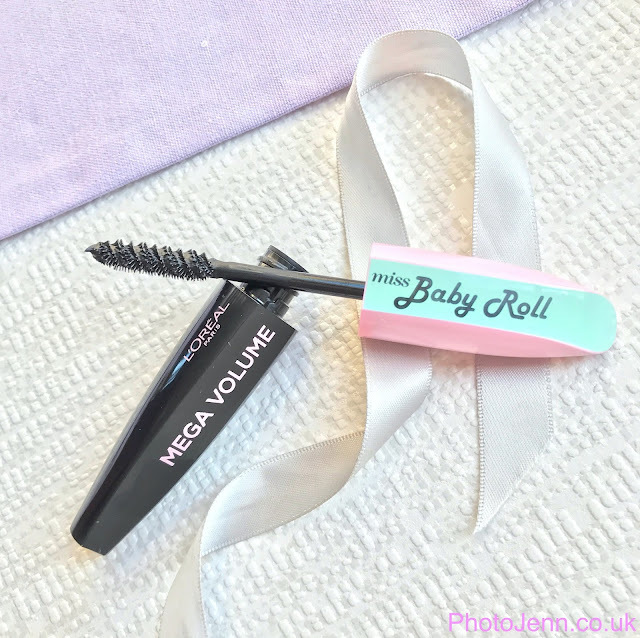 mascara - perfect for curling and separating the lashes. POREfessional: License to Blot - a blotting stick to improve the skin's texture and absorb excess oil. and an Angled Brow Brush. I had a great evening and it was so nice to not only meet some more bloggers but come away really motivated by the talks too. 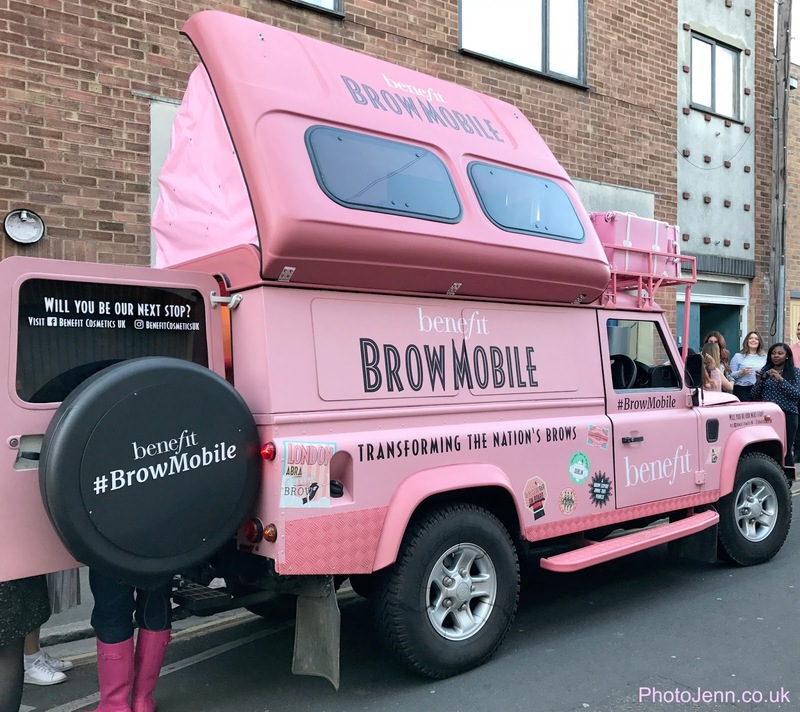 I'd love to hear your thoughts on the Brow Mobile. For more pics of the event head over to my Instagram. I've never been one to carry around my life in my bag. Even when Mason was little I didn't buy into the 'everything and the kitchen sink' thing. It's bad for your back and 9 times out of 10 you don't need half of the stuff in there. I try to carry around what I need, don't get me wrong, it's by no means tidy in there! I have to rummage through various receipts, tissues, wrappers and leaflets before I can find my phone, if you call and I actually answer in time it's a bloody miracle! I always end up with about 5 lipsticks by the end of the week but I do 'try' to keep it somewhat minimalistic. I have been looking for a bag that's great for everyday when I'm just running about doing bits and pieces. Basically the school run or when I'm just popping out in the car when I only really need a bit of cash, my phone and keys (and probably a lipstick or two, let's be honest!). I've been having a huge clear out recently, anything that doesn't make me happy or isn't any use to me is OUTTA HERE! I've just got so much crap! Looking through my old Summer clothes there are so many bags that are falling apart, I have no idea why I still have them. After many years of buying products that are basically disposable I've decided it's time to make sure I invest in things that are going to last. This way I make sure I make purchases that I've really thought about. I love my big Micheal Kors bag and I use it almost every day and it isn't worn at all so I was tempted to go for Michael Kors again for quality alone but the little ones are kind-of all the same and not really what I'm after - Plus with my MK and my Frapucciono I'm just a Fiat 500 away from being basic AF in Spring time anyway! These are a few little bags that I love the look of for this Spring and many Springs to come (because I'm thrifty like that!) which means they are a little more on the expensive side but worth it! 1. I almost bought the smaller version of this pink Kate Spade (£295) bag the other day but it is just too tiny. This one is a much better size for me and GIIIRRRL that colour! There's 3 sections, a shoulder strap and the gold hardware and tassel detail is right up my street. 3. I absolutely adore this Lilac Moschino shoulder bag (£174). Lilac is one of my favourite Spring shades and the quilting makes it look much more expensive than it is. 4. I really like this dinky DKNY small cross body bag (£150). It opens up at the top which is brilliant for throwing in my keys and phone and the front pocket is great to keep my Oyster card handy for minimum rummaging at the gates. 5. Just look at the Ted Baker 'Wow' clutch (£109). I'm tempted to get it to hold up when I'm (un)impressed with something. I feel it compliments my sarcasm perfectly. 6. Yes, another Moschino but they are killing it this season. The Pink Moschino bag (£155) has a bit of a grown up Barbie feel and I like it. 7. ok so I mayyyyy have already bought this one. It was just too 'me' to turn down. The blue DKNY cross-body bag (£150) was the perfect size for what I need, it's really simple and I love having the option to wear the strap long or short. Versatility at it's best. 8. At the more affordable end there's this Aldo embroidered bag (£50). I just love the colours and the Japanese inspired embroidery is really cute too. This would feel perfect for the night time as well as in the day. Feel free to share any of your Spring bag recommendations, I am bag-obsessed at the moment! And follow me over on Instagram if you want to see the new bag in action.